The Universal Whiskey Experience photo courtesy of Baddish Group. This is the premiere highbrow whiskey event of the year so gritty and cheaper whiskey cousins need not apply. The lavish affair is a master event, including a Glenlivet dinner at Joel Robouchon in the MGM Grand, a High Roller Whisky speed dating event at Tableau, opportunities to meet with the best whiskey distillers in the world, masters classes and more. Private tastings for rare drams valued at $3,000 or more are also available if you’ve got the cash and the desire to pay for it. The total value of whiskies being showcased at Encore this year is more than $3 million. Sevens rugby match photo courtesy of Alonzo Wright. Want to catch the best rugby players in the world before they head to the summer Olympics in Rio? Then this is your last chance. Rugby fans are probably pretty thrilled to be added back to the Olympic Games, especially because the last team to win the Gold Medal was Team USA in 1924. Rest assured these well-oiled athletes are gearing up for glory. Fans will see 16 international teams (including the fastest rugby player in the world Carlin Isles) play in 45 matches over the course of the three-day competition. 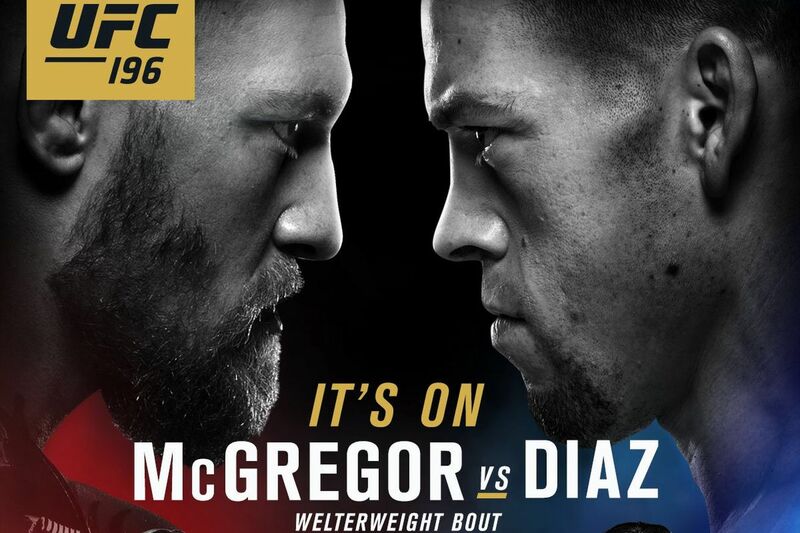 McGregor vs Diaz in UFC 196. Photo courtesy of UFC. If watching modern-day gladiators beat each other to a bloody pulp sounds like fun, you’re going to want to watch the carnage between undefeated Conor “The Notorious” McGregor and welterweight powerhouse Nate Diaz. McGregor was slotted to fight Rafael dos Anjos at the MGM Grand Garden Arena, but a broken foot sidelined the lightweight title match. Just as highly anticipated, is the women’s bantamweight title fight between Miesha Tate and reigning champion Holly Holm. This is Holm’s first fight after stunning UFC viewers by knocking Rhonda Rousy out in the second round. Cabo Wabo’s The LOFT by J.Rick Martin. Want a cool place to watch the fight? The LOFT at Cabo Wabo Cantina inside the Miracle Mile Shops is a private lounge with flat screen TVs, projectors, food and drink specials and a killer view of the Las Vegas Strip. Whiskey Revival Event photo courtesy of Allied Integrated Marketing. 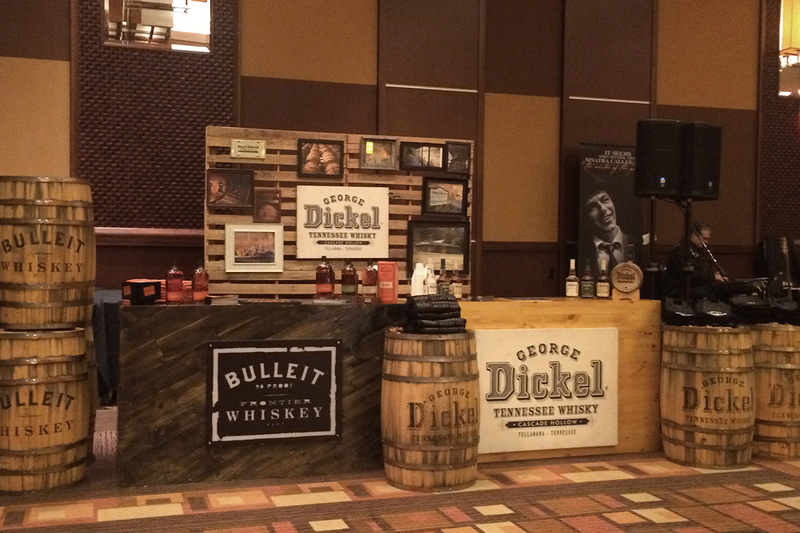 The third annual whiskey Grand Tasting event at the Golden Nugget is all about the taste buds. There will be 24 distilleries at the Grand Event Center. From fine artisan whiskey to moonshine and barrel-aged beer, the event will feature American brands like Basil Hayden, Jack Daniels, Buffalo Trace, Firestone Walker Brewery, Hudson Whiskey, Maker’s Mark, Michters and more. And where there’s booze, there’s always food (at least there should be). Guests will enjoy live entertainment, southern cuisine and educational mixolgy classes taught by the master distillers and ambassadors themselves. 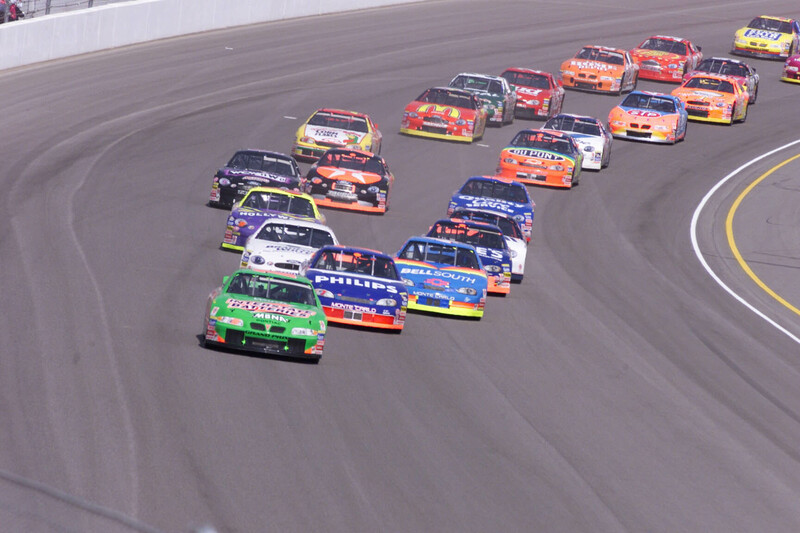 NASCAR Winston Cup photo courtesy of the Las Vegas Sun. Start your engines, or helicopters depending on your preferred method of transportation to the races, because NASCAR is taking over Vegas. The Sprint Cup Series is a weekend full of events from the Kobalt 400 to the Boyd Gaming 300, and a ton of fun in between. If you’re an auto aficionado (say that three times), check out our list of car attractions that’ll have you burning rubber with the best of them. Four days of fun, including NASCAR merchandise booths and free nightly entertainment, is what you can expect from the 13th Annual RaceJam at the Fremont Street Experience. Country music superstar Craig Morgan will be headlining a free concert on the 3rd Street Main Stage March 5 at 9 p.m.
See more NASCAR weekend fun. 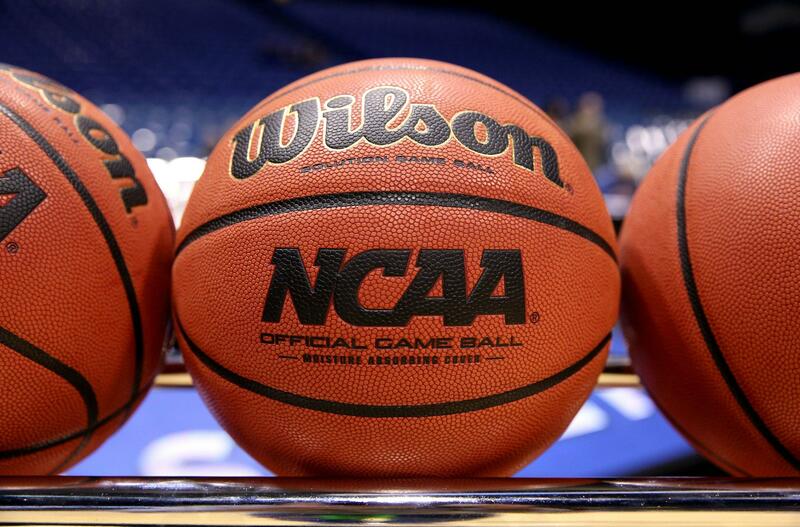 NCAA Game Balls photo courtesy of iStock. College basketball fanatics will be flocking to Vegas for the WCC tournament between Gonzaga University, Brigham Young University, Loyola Marymount University, University of the Pacific, Pepperdine University, University of Portland, Saint Mary’s College of California, University of San Diego, University of San Francisco and Santa Clara University. The 2015 men’s champ, Gonzaga will return to try and win their automatic bid back to the NCAA tournament at the Orleans Arena, along with returning women’s conference champs BYU. Let’s just call it the madness of March so we don’t step on any toes, shall we? College basketball players get caught betting or gambling and an entire movie gets made about the scandal, but when we do it, it’s called one helluva good time. We’ve got college hoops viewing parties at Treasure Island, the Hard Rock, The Cosmopolitan and more. You probably won’t walk 20 feet without seeing a basketball game on a TV screen, and that’s a good thing. We’re serious sports fans and even more serious sports betters. See our list of top places to watch the mayhem that is March basketball. Nothing like getting a little competitive during the March craze. 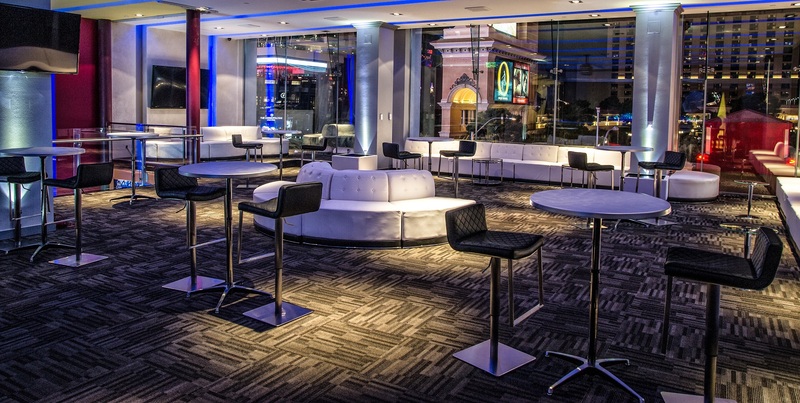 The Chelsea at The Cosmopolitan is offering guests an opportunity to park themselves in an exclusive sports lounge specifically designed for the occasion. The space will be transformed to hold countless TV screens and interactive games like a basketball court, billiards, shuffleboard, poker and a sports book for all your betting needs. The hotel’s restaurants have also chipped in to provide guests with an array of game day grub and even complimentary tickets to Marquee nightclub. O’Sheas St. Patrick’s Day celebration. Photo courtesy of Erik Kabik. Because we’re always looking for a reason to drink beer on an average day, St. Patrick’s Day in Vegas is so outrageous it borders obscene (just the way St. Patrick intended). Chug a pint, lift a kilt and kiss a sassy lassie (not necessarily in that order) at the annual Celtic Feis festival at Nine Fine Irishmen. 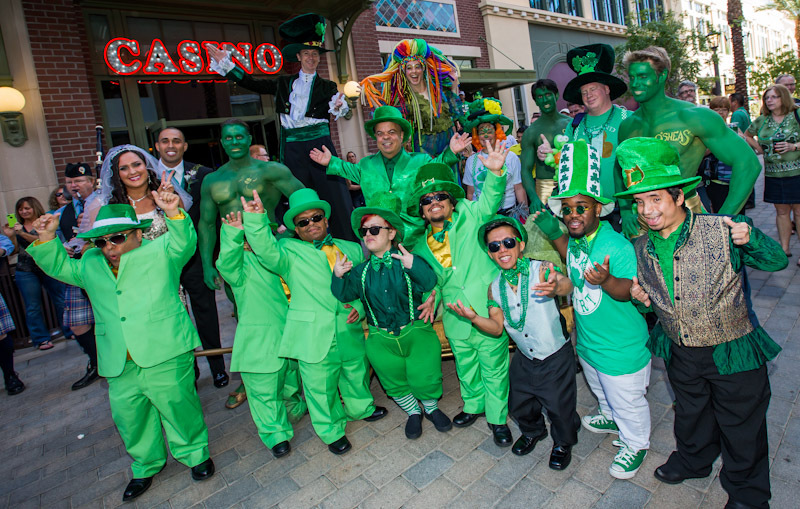 Toast a Guinness to the kilted bagpipers, stilt walkers and leprechauns at O’Sheas BLOQ party on the LINQ Promenade. There are so many ways to celebrate the holiday you could make up your own party crawl. Check out our list of parties on St. Patrick’s Day. Psssst: Before you become a wild and crazy leprechaun, help fight childhood cancer with the fifth annual St. Baldrick’s head-shaving fundraiser on March 12 at Rí Rá Las Vegas at Mandalay Bay. 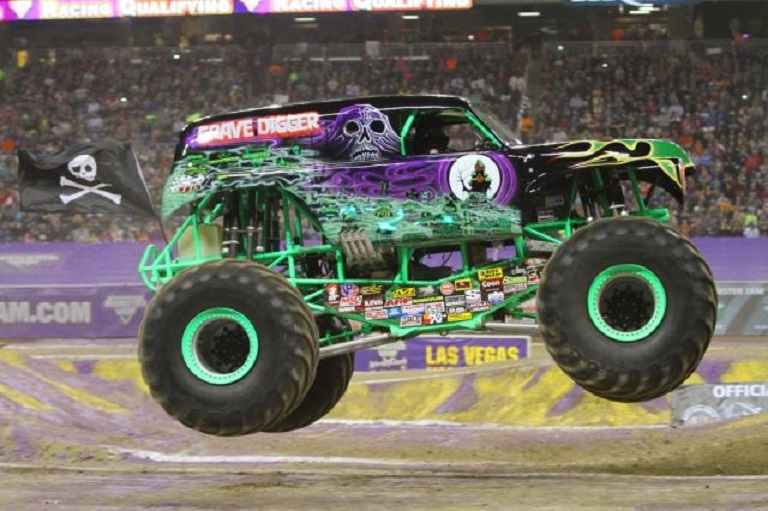 Grave Digger at the Monster Jam World Finals. Photo courtesy of Feld Motor Sports. Let’s get dirty! Monster truck fans have waited all year long for this weekend to come. More than 100 trucks and drivers will be participating in racing, freestyle competitions, meet and greets, interviews and more. Get an up close and personal look at these 12 x 12 machines and the 66-inch tires they sit on. Each truck weighs a minimum of 10,000 pounds and is built for speed and soaring. If 2,000 horsepower racing at 100 miles per hour to fly over 14 cars sounds like your kind of party, you won’t want to miss this competition. Photo courtesy of Wizard World Facebook. How many other opportunities do you get to dress up like a half-eaten shark bite victim? Wizard World is hosting the second Comic Con in Vegas and has promised a righteous celebrity lineup. This includes Ian Ziering and Tara Reid from “Sharknado,” Michael Rooker from “The Walking Dead” and “Guardians of the Galaxy,” Eliza Dushku from “Buffy the Vampire Slayer,” Karen Gillan from “Guardians of the Galaxy,” Matt Smith from “The Crown,” Jewel Staite of “Stargate Atlantis,” Mark Pellegrino of “Supernatural,” Elizabeth Henstridge and Brett Dalton from “Agents of Shield” and “Once Upon a Time’s” Sean Maguire. 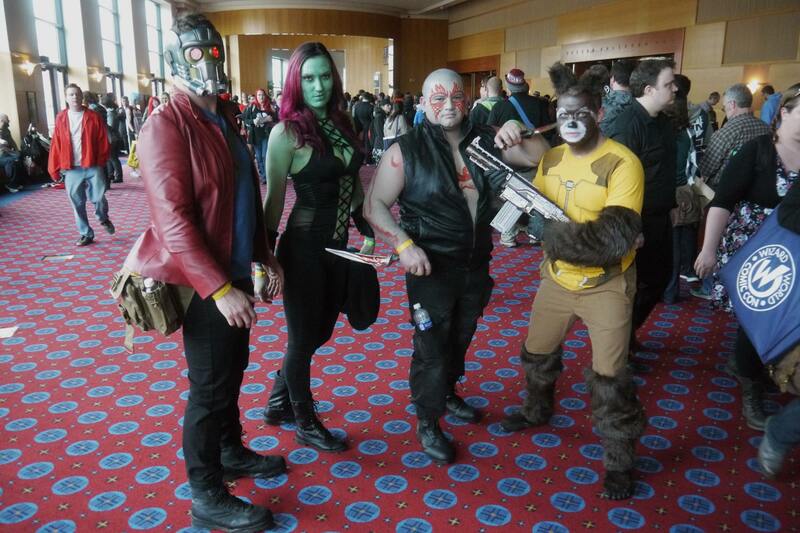 There will also be comic artists and writers from Spiderman, Wolverine, X-Men and Marvel Zombies. Think you’ve got the best costume? See how you match up against hundreds of other superfans at the costume contest on Saturday. CCR photo courtesy of The Firm Public Relations & Marketing. 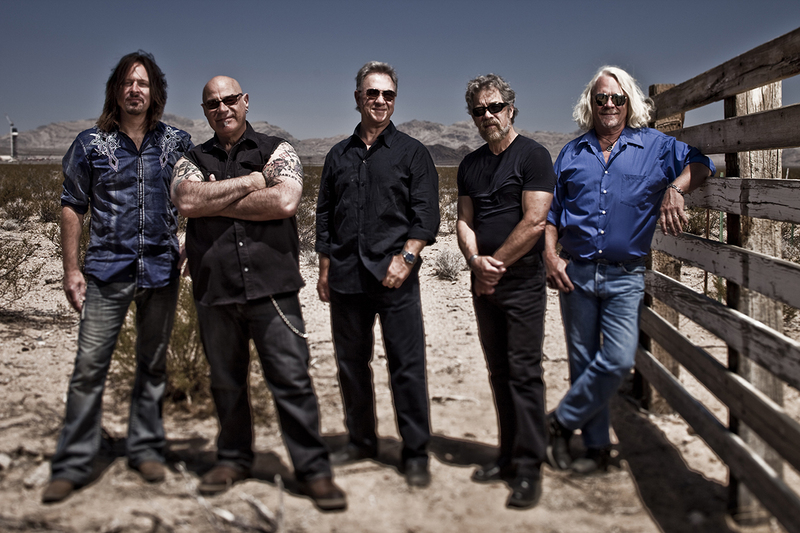 Hey Swamp Rock lover, CCR is returning to The Orleans Showroom with hits like “Bad Moon Rising,” “Born on the Bayou” and “Have You Ever Seen the Rain.” The platinum-album recording artists became Creedence Clearwater Revisited after the original band members parted ways in 1972. Don’t miss your chance to catch this legendary performance while it’s at The Orleans. Pool club photo courtesy of Wet Republic. While the rest of the country is weathering their gazillionth “Snowpocalypse,” Vegas is shedding down to its skivvies to ring in the start of pool season. 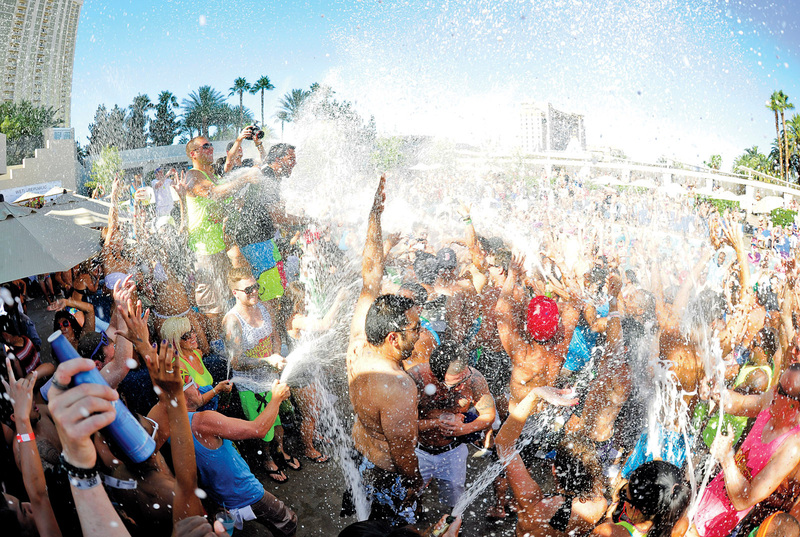 Big name pools and dayclubs like Encore Beach Club and Marqee Dayclub are celebrating their seasonal debuts March 4, while March 11 marks the return of Rehab, Wet Republic and Tao Beach. There probably won’t be any confetti but you can bet your stair-mastered rear end there will be lots of the beloved and time-honored tradition (not to mention belligerent waste of perfectly good booze): the champagne shower. Teeny weeny bikinis and sky-high stilettos are probably not what you’d normally consider “proper swim attire” but this is Vegas, baby. Ready or not, swimsuit season is upon us, so do us all a favor and schedule that wax you needed two months ago. 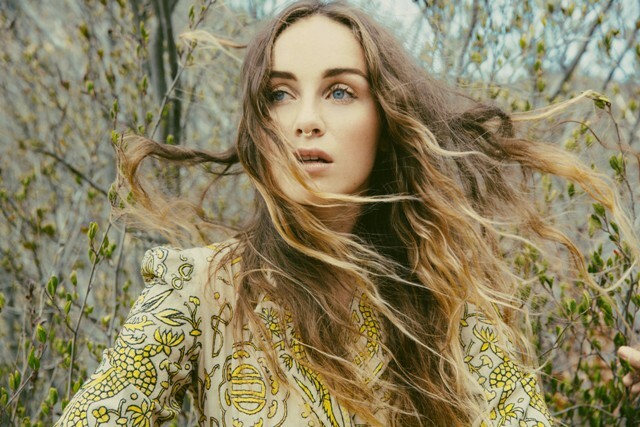 Zella Day at the Spring Fling Concert. Photo courtesy of Kirvin Doak. Mix 94.1’s Mercedes in the Morning hosts this concert benefitting the Make-A-Wish Foundation of Southern Nevada. The star-studded lineup will include Brooklyn-based alternative rock band, American Authors, Atlantic Records artist Charlie Puth, indie-pop musician Zella Day and English rock band New Order. From each ticket sold, a dollar will be donated to the Make-A-Wish Foundation, a non-profit organization specializing in granting the wishes of children with life-threatening or terminal illnesses. X Ambassadors photo courtesy of Facebook. Things have changed a lot for these upstate New Yorkers. The band, comprised of brothers Sam and Casey Harris and their childhood friend Noah Feldshuh, has roots in the musical styles of punk, rock ‘n’ roll, soul and hip-hop. After teaming up with west coast drummer Adam Levin in New York City, the group took their alternative pop sound to a new level and caught the attention of KIDinaKORNER/Interscope Records. 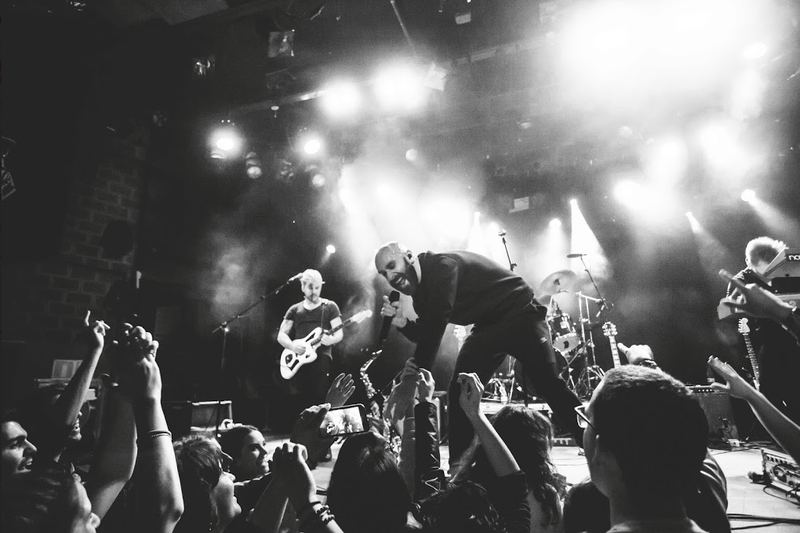 X Ambassadors have opened for Las Vegas natives Imagine Dragons and on the Jimmy Eat World Tour with The Mowgli’s. Check them out at The Foundry at SLS. Seasonal selection photo courtesy of Ethel M Chocolate Factory. Here comes Peter Cottontail, hopping down the bunny trail… oh wait, this isn’t a sing along. Or is it? Easter weekend brings a lot of fun and chocolaty goodness at our hometown chocolate factory. Face painters, balloon artists, live entertainment, games and photos with the Easter Bunny are sure to delight just as much as the seasonal sweets. 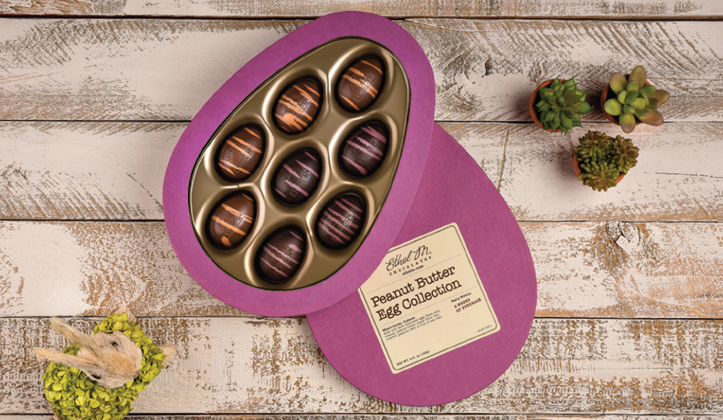 The Peanut Butter Egg Collection, Fruit Truffle Egg Box, Cocoa the Cuddly Bunny and a four-item Hoppy Easter Basket are featured favorites of this year’s chocolate collection and you’ll even get to see where and how these yummy little morsels are made with a factory tour. See more Vegas Must Dos.